Burger Law is a team of personal injury lawyers that represent individuals and businesses against insurance companies. Examples of these types of claims are when a business or person sustain property damage and the insurance company delays too long in paying for a claim and/or offers to pay too little in a claim. We aggressively represent individuals and businesses, file lawsuits, and have a great track record. We just settled a case for a local physician against subcontractors in her homeowner’s insurance for negligent home improvements; we represent a local business for hail damage, water damage and other damages sustained in his business both to its structure, and its inventory; and we represent a local company who sustained fire damage that is going uncompensated by their landlord or their insurance company. Another insurance claim in which we have had success is claims by individuals to get their short term and long term disability. We have taken claims and been successful from anywhere from laborers to lawyers to doctors to succeed in getting recovery against their short term and long term disability insurers. Many times an insurance company will seek to avoid paying disability, by relying on tricky language in policies saying that the person could still get another wage or saying that the medical documentation is insufficient to warrant finding the disability. We get the documentation, and are able to read the policies ourselves to show the insurance company how their policy doesn’t quite say what they think it says. We have been creative in finding in other loopholes and other provisions in insurance policies which enable our clients to recover. Another type of claim is straight against the insurance company for an automobile accident against injury victims own auto insurance policy for uninsured or underinsured motorist coverage. We have successfully resolved these claims, litigated and tried these claims as well. 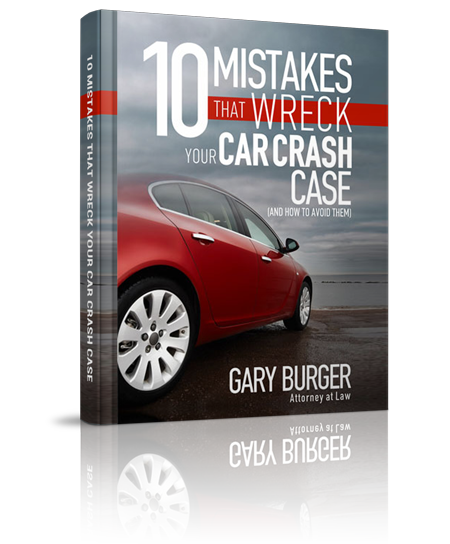 Gary Burger’s most recent trial and such claim was a $500,000 verdict. So, as always, call the personal injury attorneys at Burger Law at (314) 542-2222 or complete our online contact form for help against big bad insurance companies.